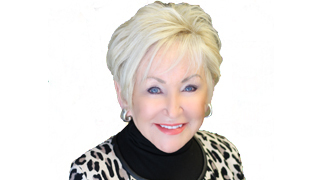 Janet is an established Realtor with 35 years of experience in Davidson and Williamson County. She is the Principal Broker, President and Co-founder of Worth Properties, LLC. Janet has a Bachelor of Science in Education/Management from Peabody College of Vanderbilt University. Before her real estate career began, she spent 10 years teaching Business Law, Business English and Business Accounting. Janet has a solid reputation as a Realtor, and her experiences as an agent have carried over to her leadership of Worth Properties. When Janet created Worth, her vision was to produce an atmosphere for agents and clients to receive unparalleled support from the firm. Through the proficiency of the staff and marketing department of Worth Properties, Janet’s vision is implemented down to the finest details. Janet and Co-founder Bailey Robinson, III created an extremely positive work environment. That meant the very best in equipment, supplies, technology, staff and ideals to help our Worth Realtors best serve their clients. Worth Properties officially opened January 1st of 2004. The philosophy of high standards that were set for the company has attracted 70 of the most dedicated, career-oriented agents in the area with over 20 years average experience. Worth Properties was even voted by the Nashville Business Journal as the winner of the Best Places to Work for many years in the 26-100 employee category and ranked as one of the top 25 real estate firms in the Nashville area yearly since it began over 10 years ago. In Janet’s personal life she is married to Commercial Realtor, Ray Tarkington of Tarkington & Harwell Realty and owner of Mr. T’s Patio store. Janet is the mother of one son, Casey Jones, who is an investment banker in Cincinnati, Ohio. Casey and his wife Beth have 3 young sons. All Content Copyright © 2019 Worth Properties, LLC. All Rights Reserved. Firm License #257893. Nashville Real Estate Website by Sparker Webgroup of Nashville, TN.